The Chinese Premier Li Keqiang made a rare and somewhat startling admission this past week. He admitted that the Chinese government will have to support the economy as new pressures to national growth emerge. Translation: All is far from well with China economically. In this opening of the Chinese congress last week, Li painted a deteriorating picture of the country's economy. He reiterated the necessity of preparing to endure a “tough struggle” while setting lowered growth targets ranging from 6 to 6.5 percent in total annual growth. This is your latest reason to keep an eye on your investment and retirement portfolios. China has now been the entire world's growth engine for the past two decades. With other economies already noticeably slowing down, the U.S. and the rest of the world can not afford for China's to decelerate too. This is why gold makes sense in an IRA. 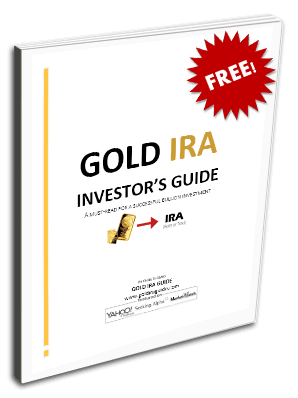 Now is the time to consider what IRA-approved gold you can buy in monthly installments. “It is true that China's economy has encountered new, downward pressure… We are not going for monetary easing but trying to provide effective support to the real economy.” Our slowdown in economic growth transpired as worldwide growth was also feeling the pressure. One thing giving weight to his argument was a new foreign investment law. The Chinese delegates approved the new law that included language for protecting foreign companies and their trade and commercial secrets, per the U.S.-China Business Council. Yet even as China's economic growth and prospects continue to slide and wither, the country has been taking some dramatic economic warfare steps of its own lately. Beijing increased its officially held gold reserves for the third consecutive month for February. This was the latest effort in their endeavors to reduce exposure to U.S. dollars. In February, the People's Bank of China increased its fabled gold holdings by another 10 tons for the month. This was on top of another 32 tons of gold it had already obtained since 2019 began. The Financial Times argues that at this pace, China will soon pass both Kazakhstan and Russia as the world's foremost central bank gold buyers. It was only in December of 2018 that the Chinese made their first gold update announcement since year 2016. China claims that it officially has 1,874 tons of gold now. At the same time, Beijing has been aggressively selling off its once enormous pile of U.S. Treasuries it amassed over decades. In the last year, China has net sold over $50 billion worth of its American Treasury debt paper. China's crucial real position in gold is difficult to figure for several reasons. They have demonstrated their tendency to allow significant periods of time to pass without updating their gold reserves holdings and then announcing a huge boost to their gold reserves. For example, back in 2009, the People's Bank of China ceased updating on its gold reserves. Suddenly in June of 2015, China's central bank out of the blue revealed its gold holdings had increased by 57 percent. Still many other analysts concur that China actually possesses a great deal more gold than it officially shares. Many analysts opine that Beijing is hiding a few thousand tons of gold in an off the books arrangement under an entity they call the State Administration for Foreign Exchange, or SAFE. It remains unlikely that the Chinese have not continued adding to their gold reserves since 2016. You should take a serious lesson from the Chinese. They do not allow the collective fortunes of their future finances to be held hostage by any ambivalent government or financially destructive international policies. Now is the time to consider Gold IRA rules and regulations. Thanks to the IRA approval, you can now store your IRA gold in top offshore storage locations. 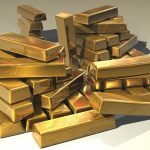 Be sure to consider the Top Gold IRA Companies and Bullion Dealers before buying.